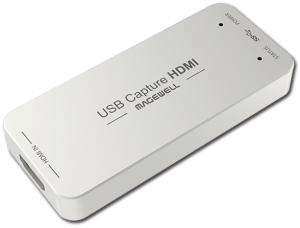 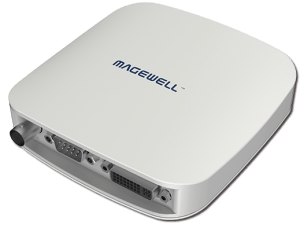 The Magewell USB Capture SDI – Plug & Play simply connect and capture, no drivers required, capture up to 1080p @60fps. 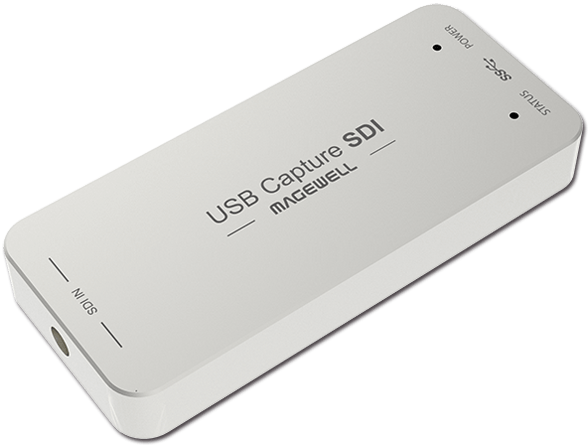 USB Capture SDI USB3.0 Dongle, it is easy to carry, have a superior performance, superior compatibility, simple installation and many other features. 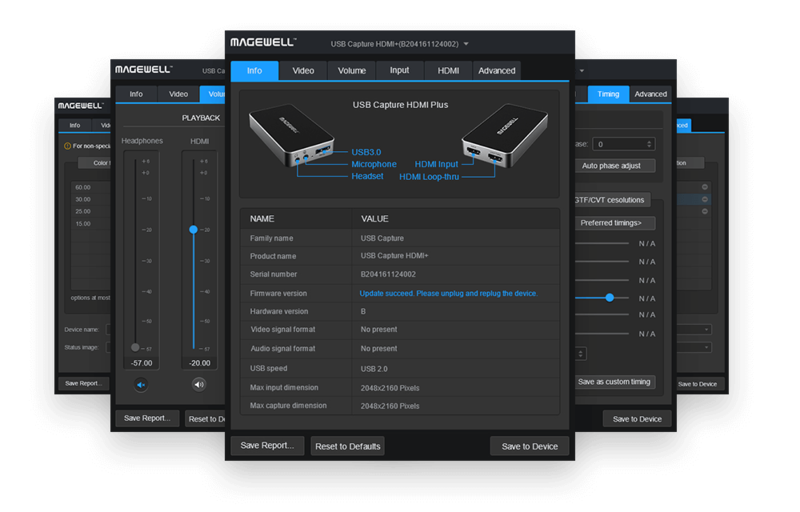 It can capture one SDI 1080p60 input and output signal; compatible with Windows, Linux, Mac OS X and USB 2.0 interface, Compatible with many USB 3.0 chipset (Intel, Renesas, ASMedia, Fresco Logic), compatible with PCie Genl.l xl expansion via USB 3.0 interface; The SDI video capture meets UVC and UAC standard, without having to install any drivers and settings, the USB 3.0 SDI video capture is real Plug ‘n’ Play, and is very easy to use. The Magewell USB Capture SDI is based on UVC (USB video class), UAC ( USB audio class ) STANDARD, without having to install drivers and settings.USB Capture SDI provides screen brightness, contrast, hue, saturation, and other options set by DirectShow “filters” dialogue box to set these options.